“Rambo” Rahm Rams His Way To A Win! “Rambo” Rahm Rams His Way To A Win! “Rambo” Rahm Rams His Way To A Win! 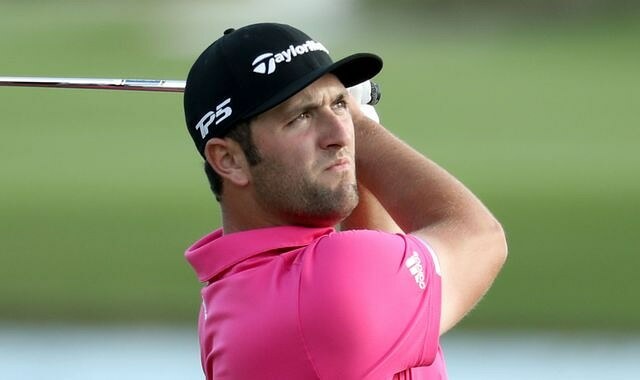 Young Spaniard Jon Rahm (pictured) showed who was boss at the Tiger Woods hosted Hero World Challenge. In a flurry to grab the lead in the final round of the tournament, Rahm turned on the heat to smother the 18-man field by romping home with a clear four-stroke lead. In the process, he bagged a check for a cool US$1 million. Playing in the balmy weather of the Bahamas, Rahm carded a seven-birdie, seven-under-par 65 after starting the day tied for the lead with Tony Finau and Henrik Stenson. He finished at 20-under 268. American Finau (69) birdied the last to claim second place on 16 under, with Englishman Justin Rose (65) another shot back in third. Host Tiger finished second last.